(November 2001) 14 tracks: The Annie R Lord Set; The North Coast; The Black Dance; Hornpipes; The Dingwall Jig; The Gentle Rain; The Frozen River; The Far Away Grandchild; Keltikora; Reels; The Wee Twister; Bonnie at Morn; Colin Gordon's March; The Toe Rag. Sparkling Scottish mandolin music. 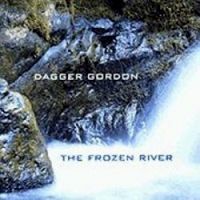 A follow-up to Dagger's 1988 release Highland Mandolin, featuring traditional tunes with some of his own compositions reflecting his life in the Scottish Highlands. With Andy Thorburn (piano, Hammond organ), Graeme Scott (fiddle), Mike Simpson (guitar), Melanie Simpson (accordion), Duncan MacGillivray (Highland pipes) and Alan Harfield (flute).